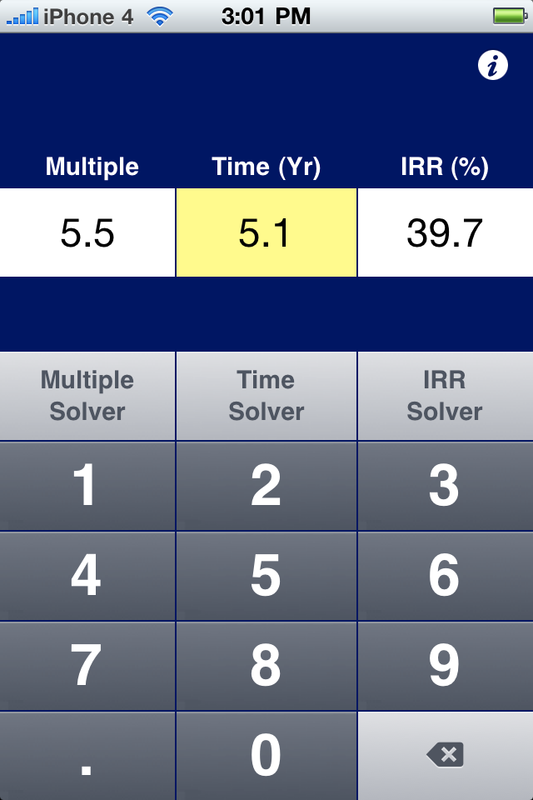 Simply enter two parameters and solve for the third. You can download it on the App Store. 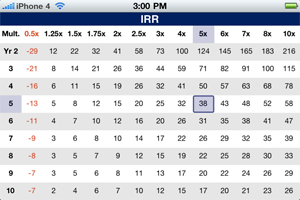 By tilting the iPhone to the left, the IRR table gives a contextual tabular overview. 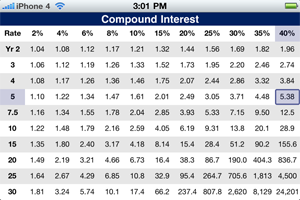 Tilting the iPhone to the right will show the compound interest table. Target clients include professionals in private equity, venture capital, buyouts, secondaries, investment banking and other finance related areas.